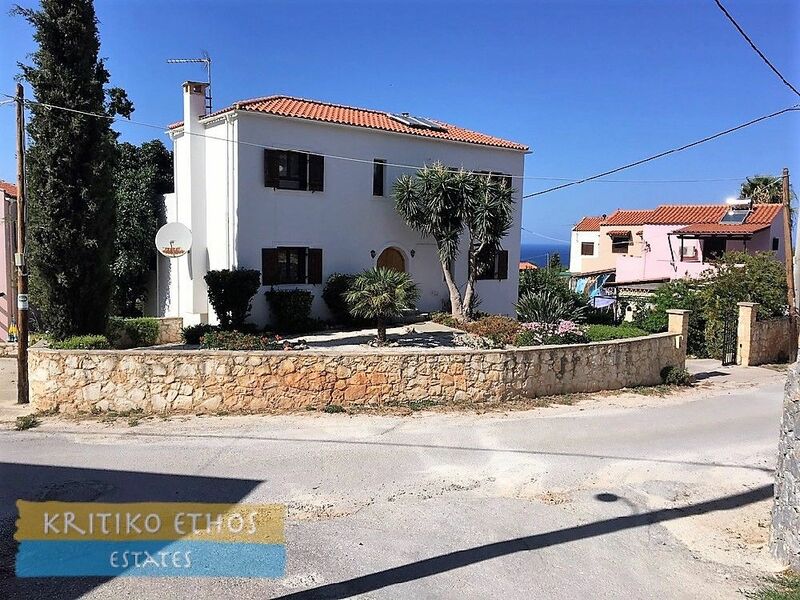 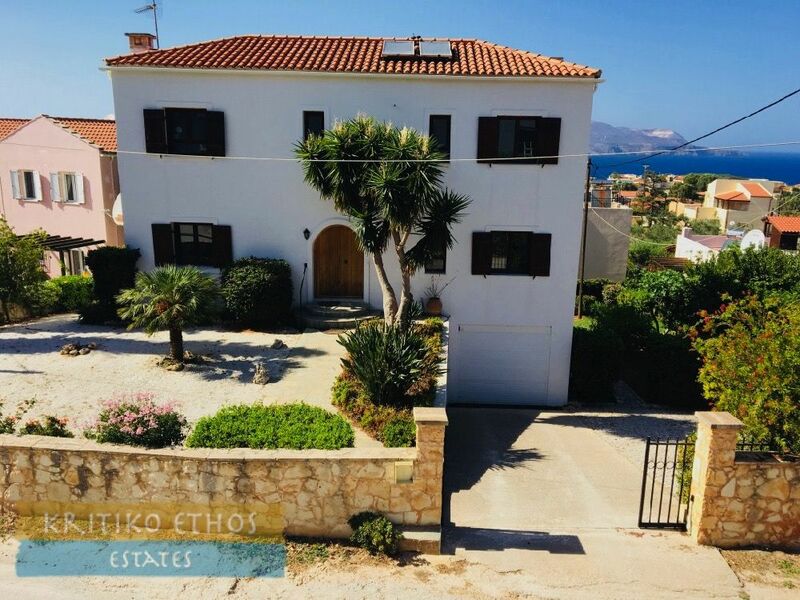 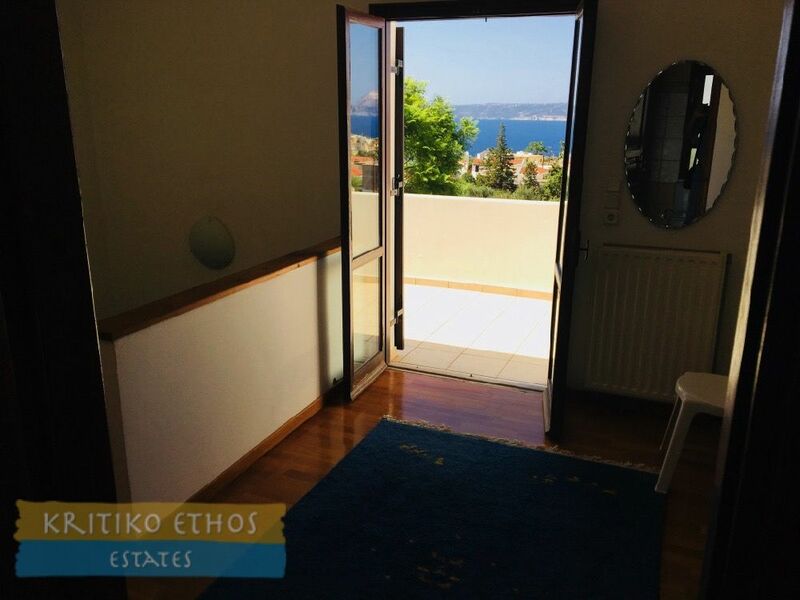 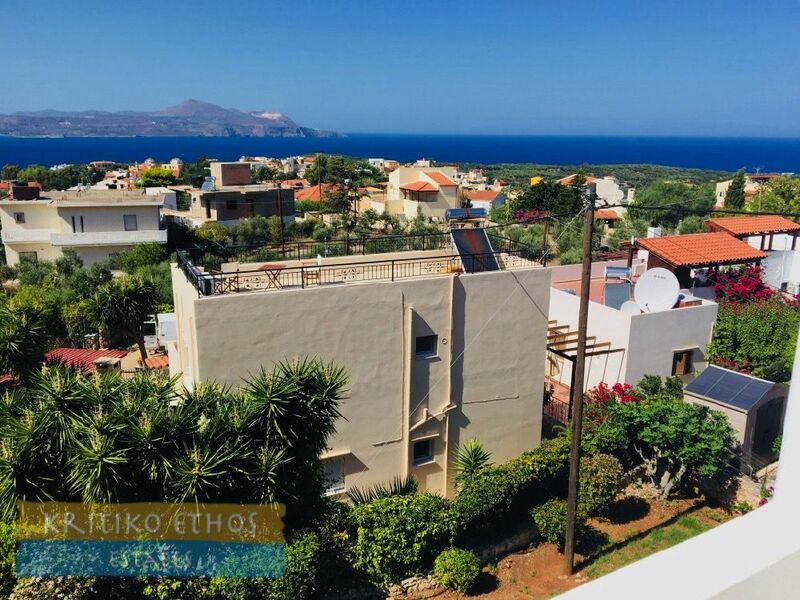 This very spacious 154 sqm villa is truly one-of-a-kind with a very comfortable and liveable design, excellent location, and fantastic sea and mountain views. 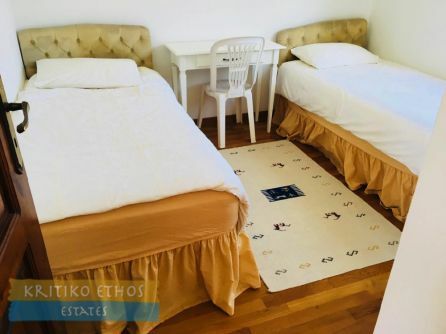 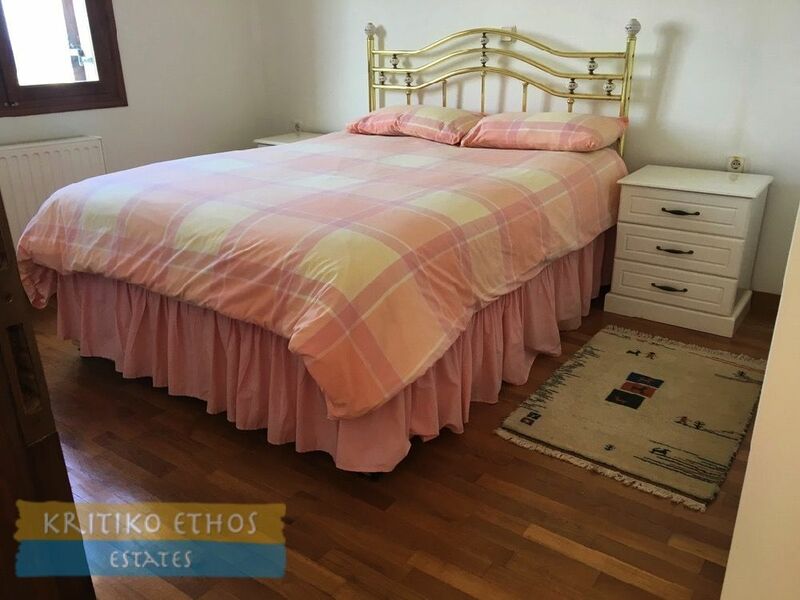 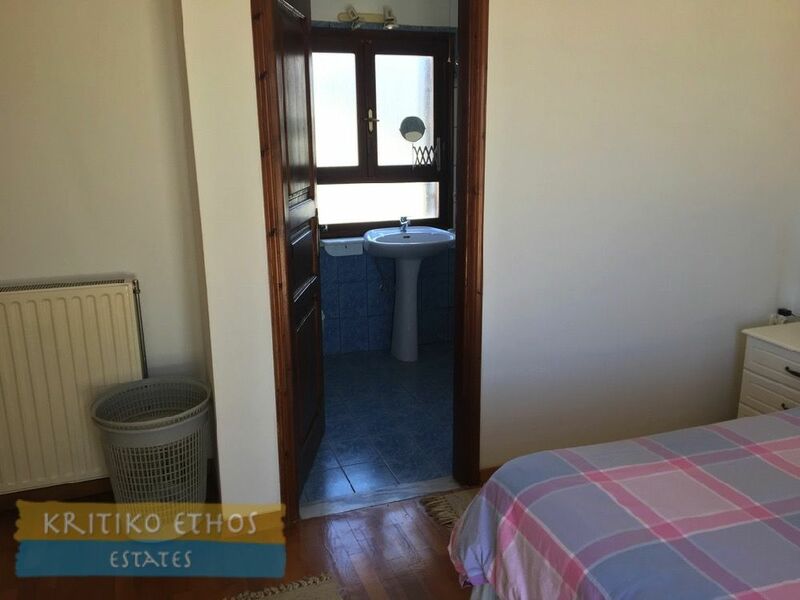 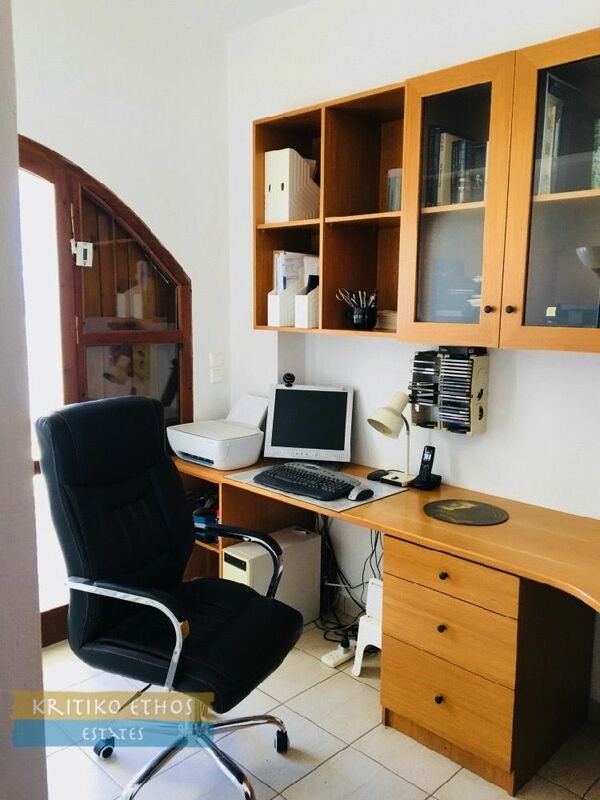 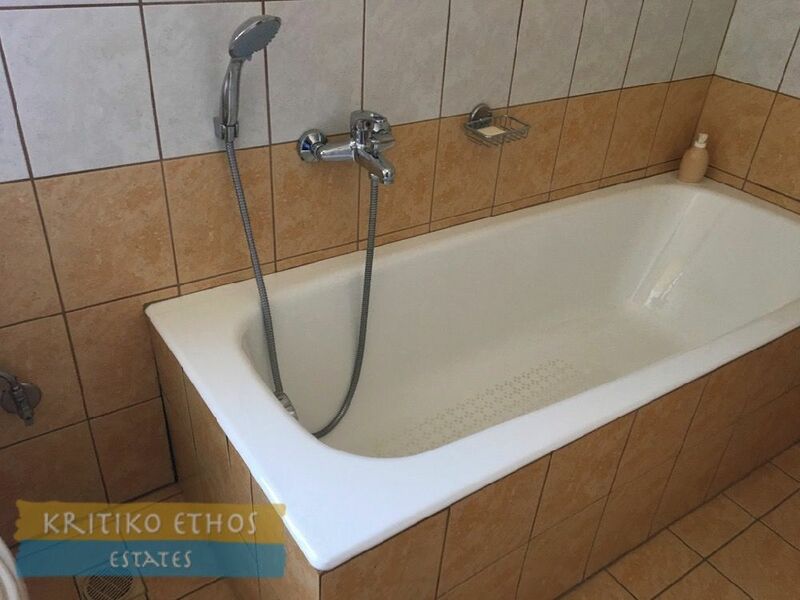 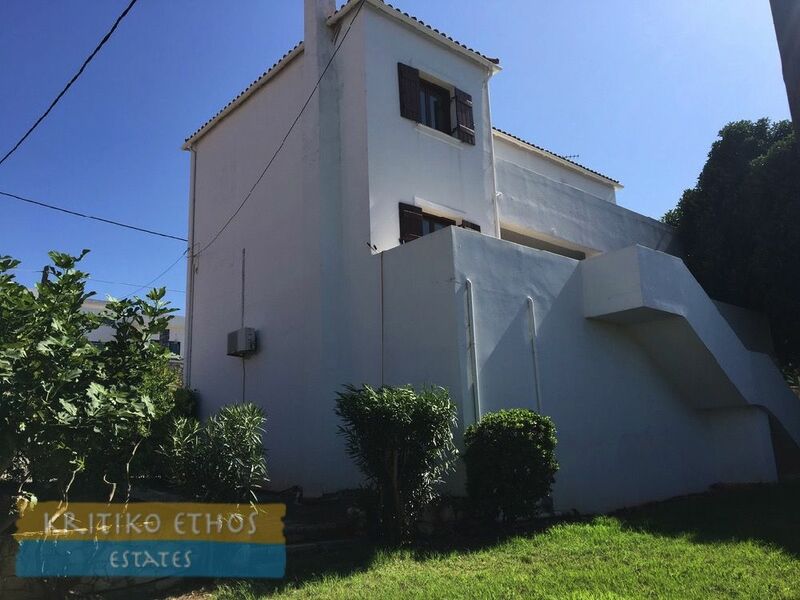 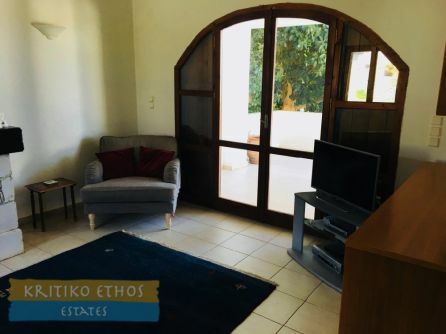 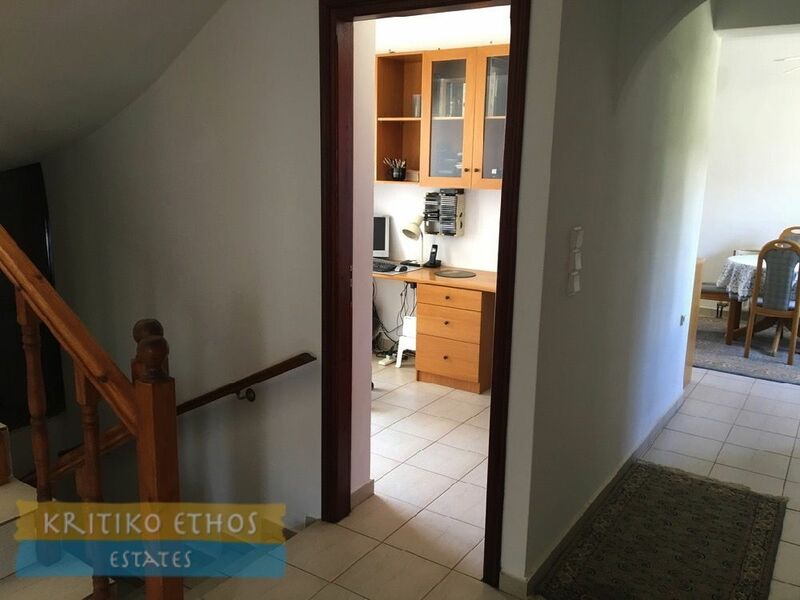 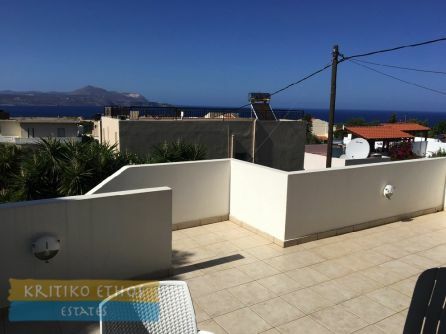 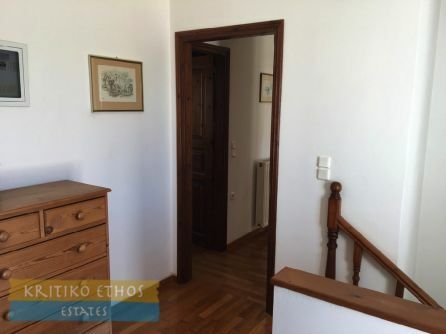 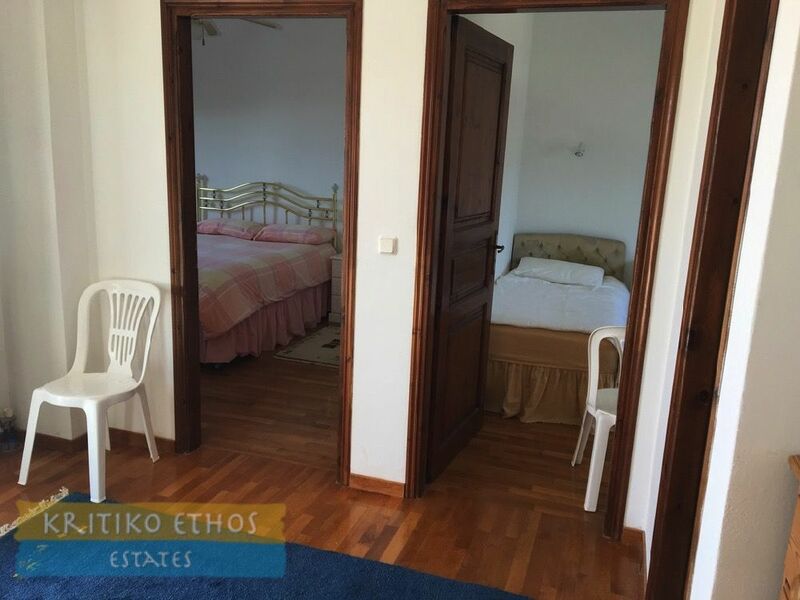 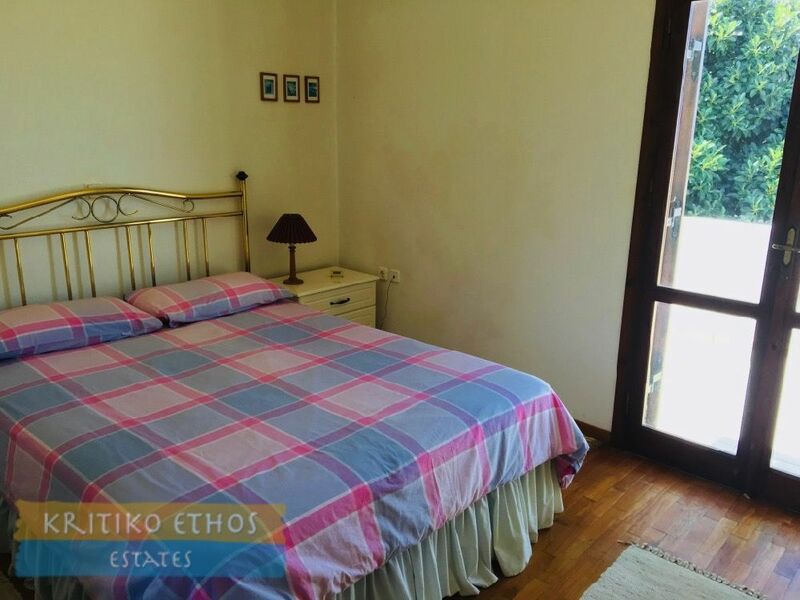 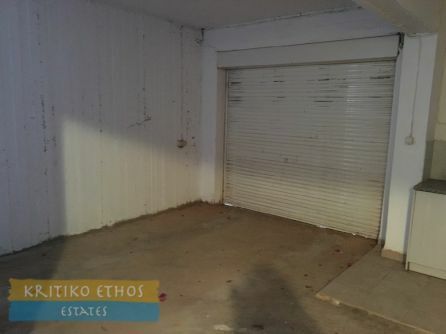 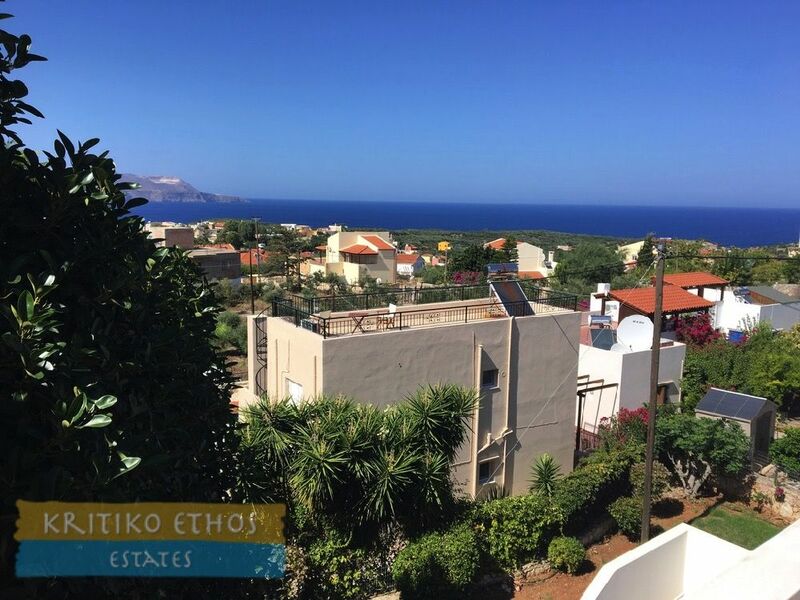 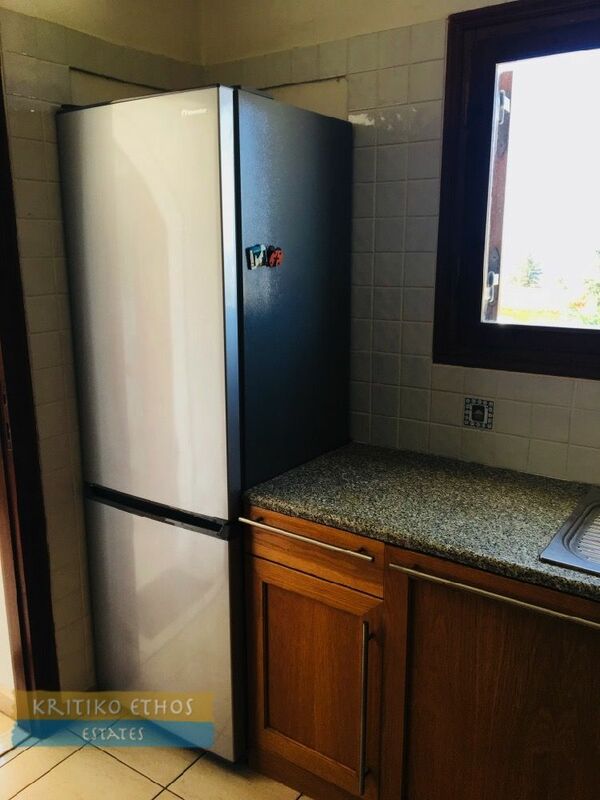 The home is a short an easy walk to the Plaka village centre and just a short drive to the beach at Almerida. 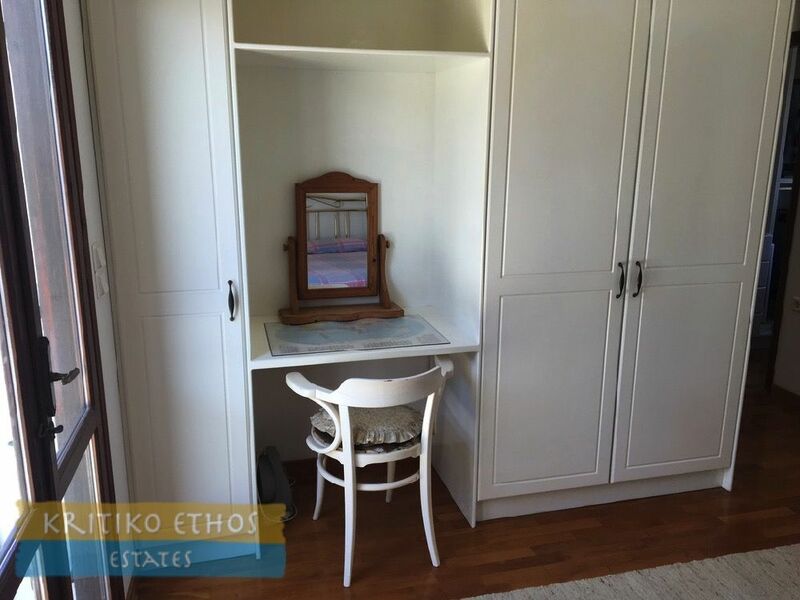 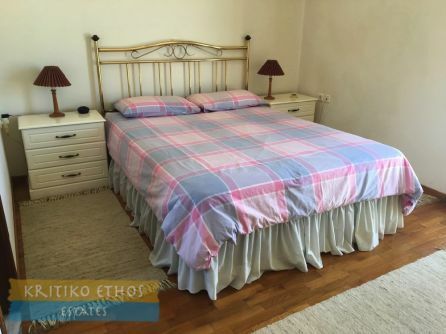 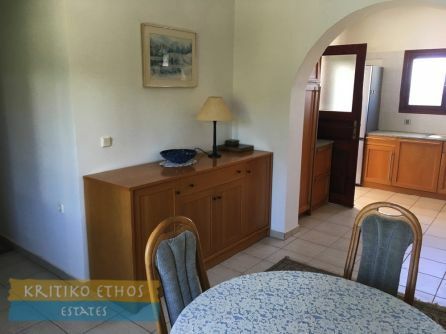 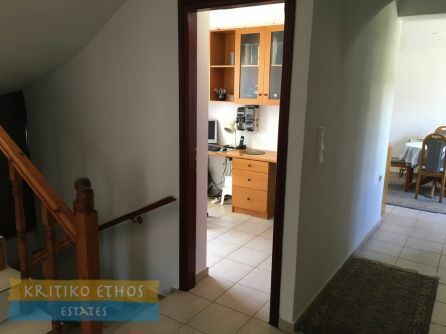 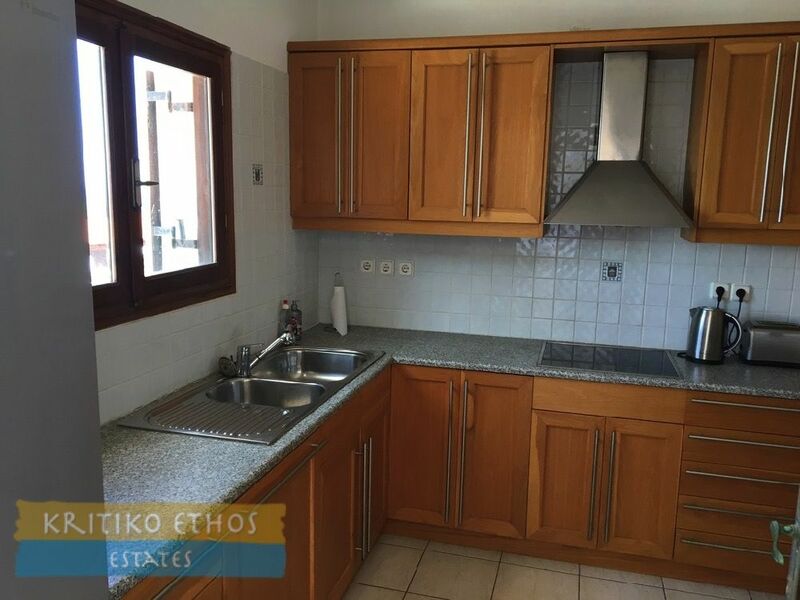 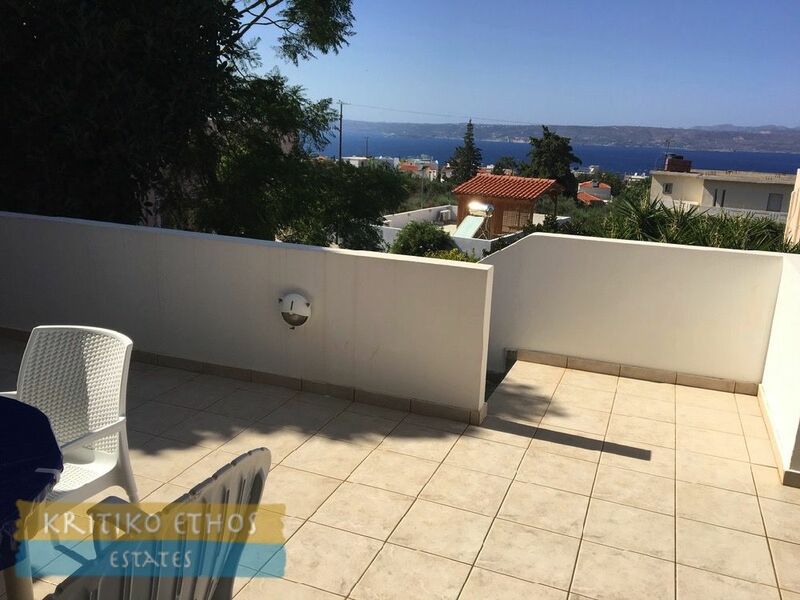 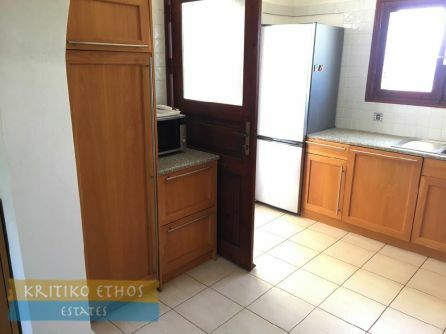 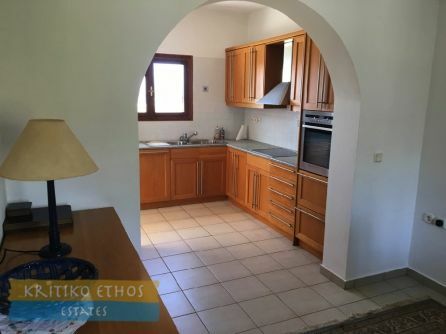 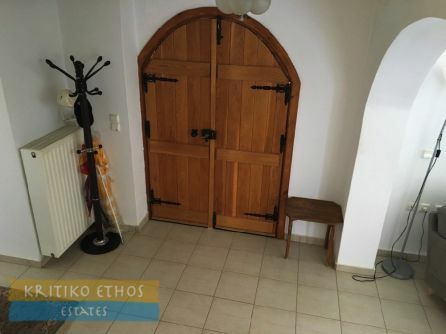 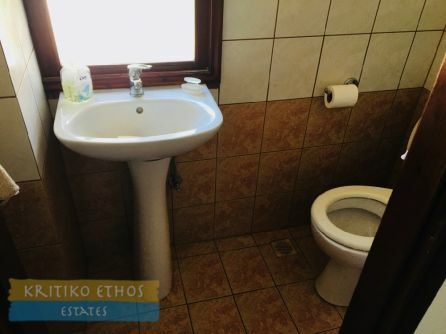 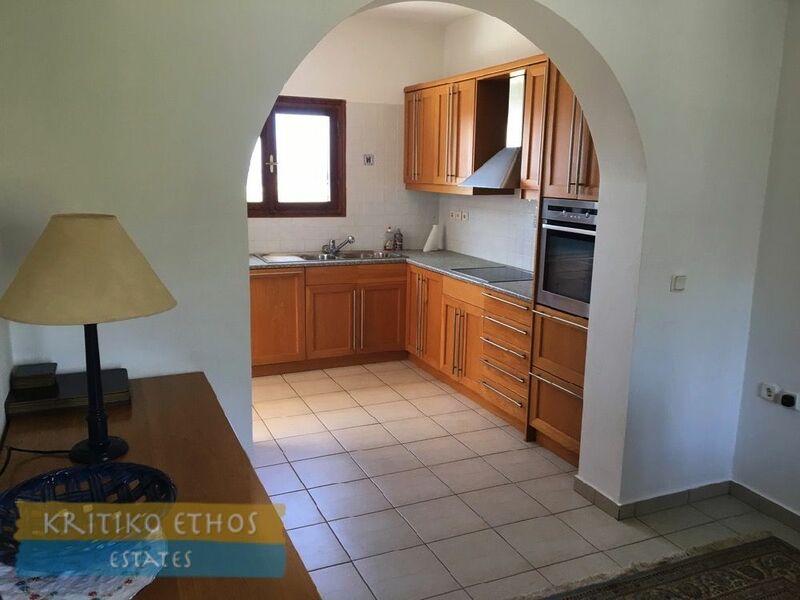 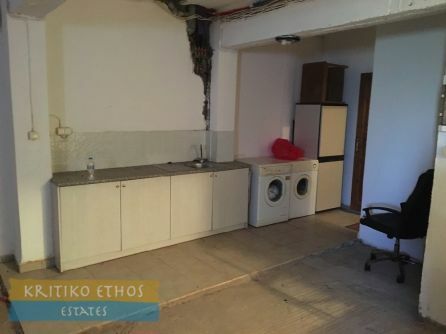 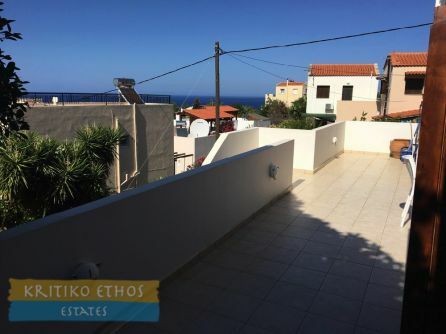 The home is ideally suited for a permanent residence in Crete as well as a great holiday home. 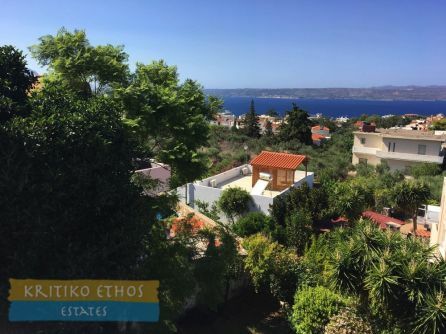 With the addition of a pool, it could also offer superb and luxurious summer rental opportunities. Entry to the home is off a tarmac village lane and the driveway leads to a parking area and thence to the lower level garage (if used for parking, there is internal access from the garage to the main level). 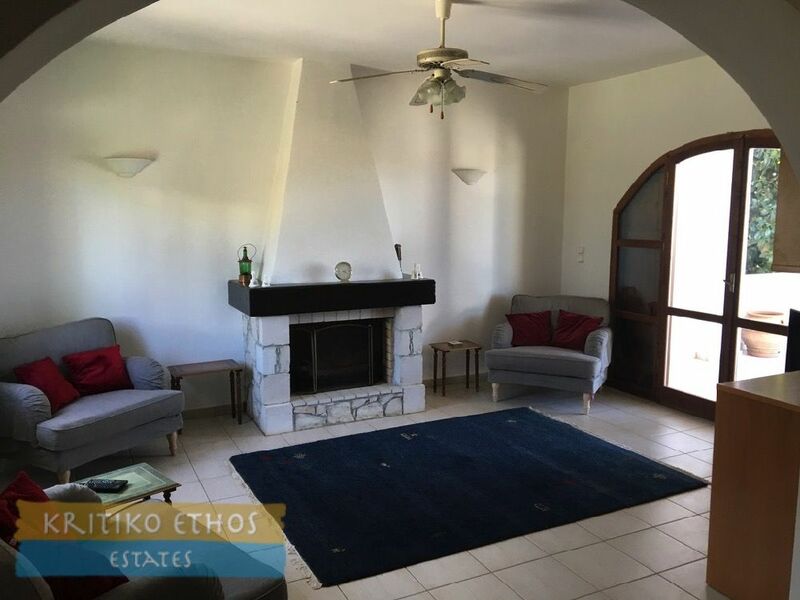 The formal reception room is centrally located and opens to the sitting room on the left side and the dining area to the right. Stairs lead from the reception area to the first floor and down to the garage and lower level. 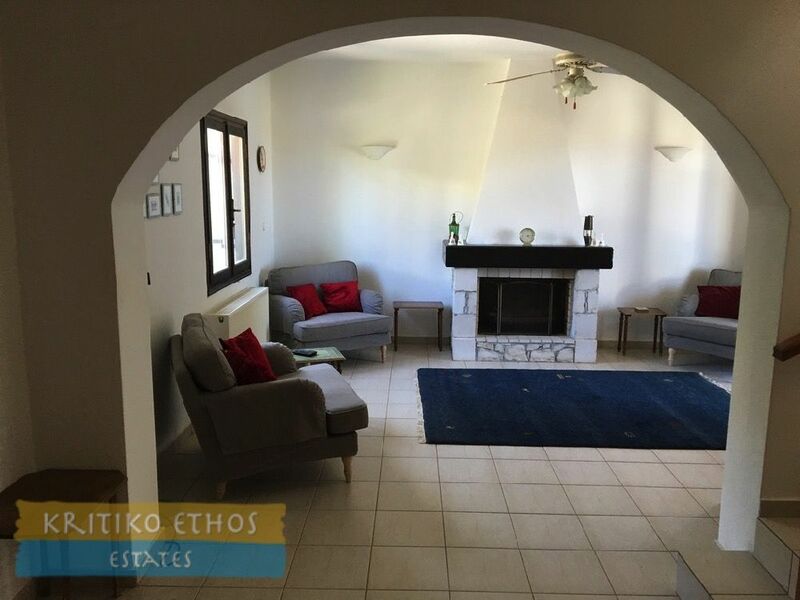 The very spacious sitting room has a beautiful central fireplace and plenty of seating space. 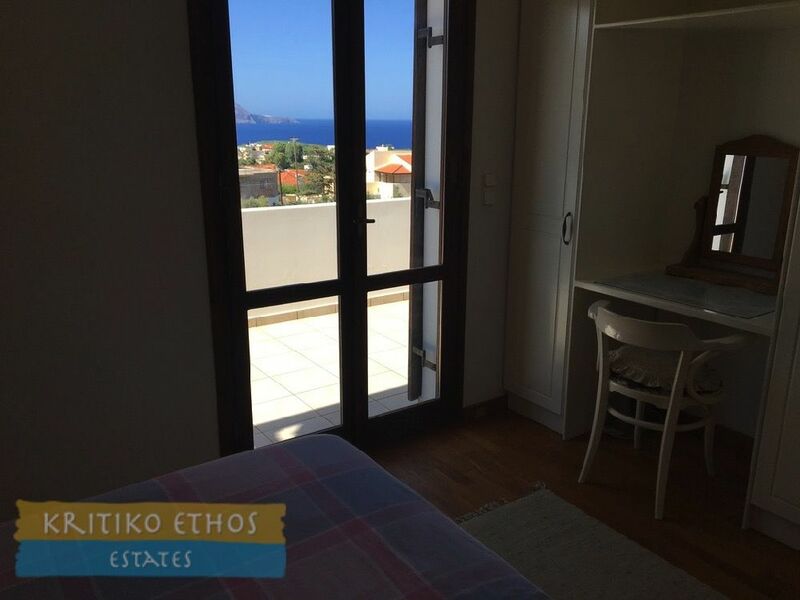 French doors lead to the broad covered rear terrace overlooking the rear garden and offering excellent sea views. 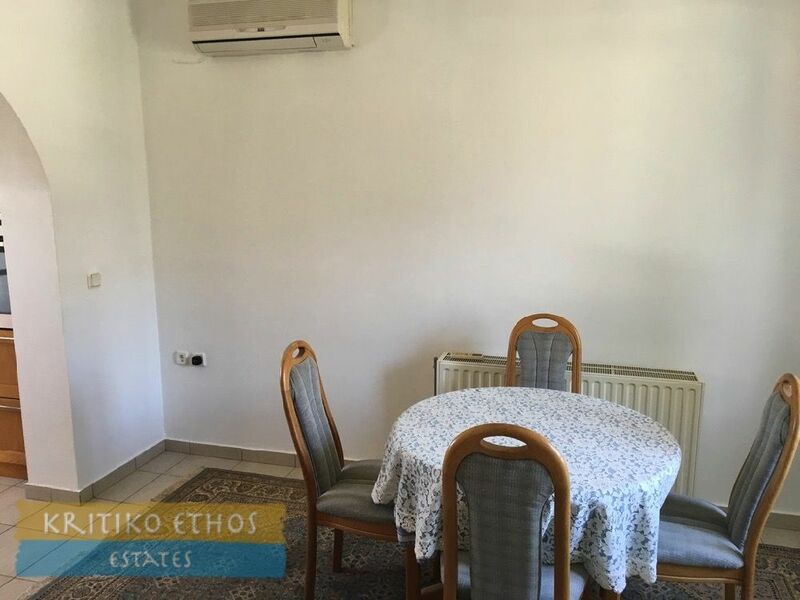 The formal dining area is presently not completely furnished as the owner is unable to entertain and prefers enjoying the sun and the views from the rear terrace during her stays in Crete. The space is large enough for a great party, but of course we tend to entertain outdoors for most of the year! The dining area opens to a beautiful and well laid out kitchen … simply a cook's delight! 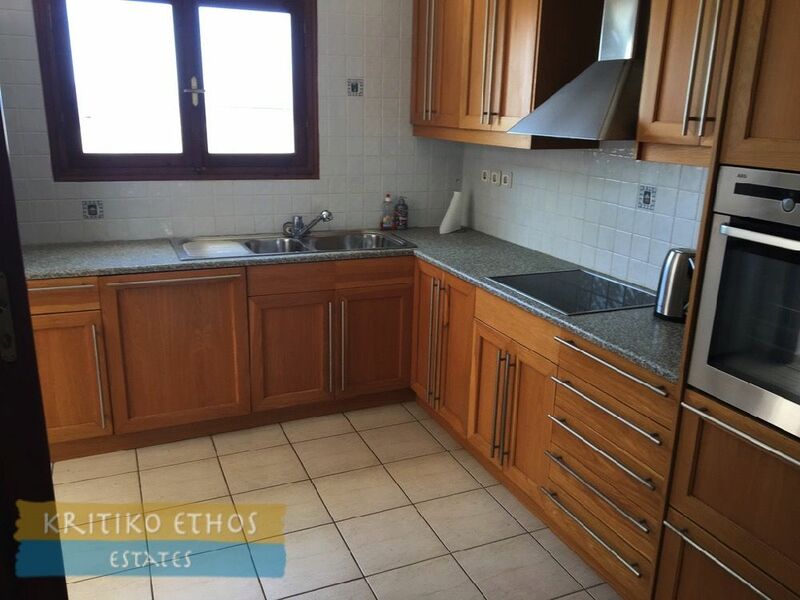 Plenty of counter and cupboard space and a doorway leads from the kitchen to the rear covered terrace. There is also a bedroom (currently used as a study) on the ground floor plus a guest WC. 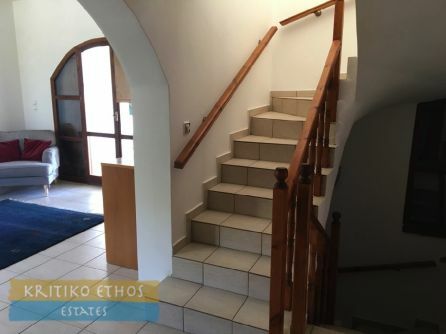 A tiled staircase leads to the first floor hallway. 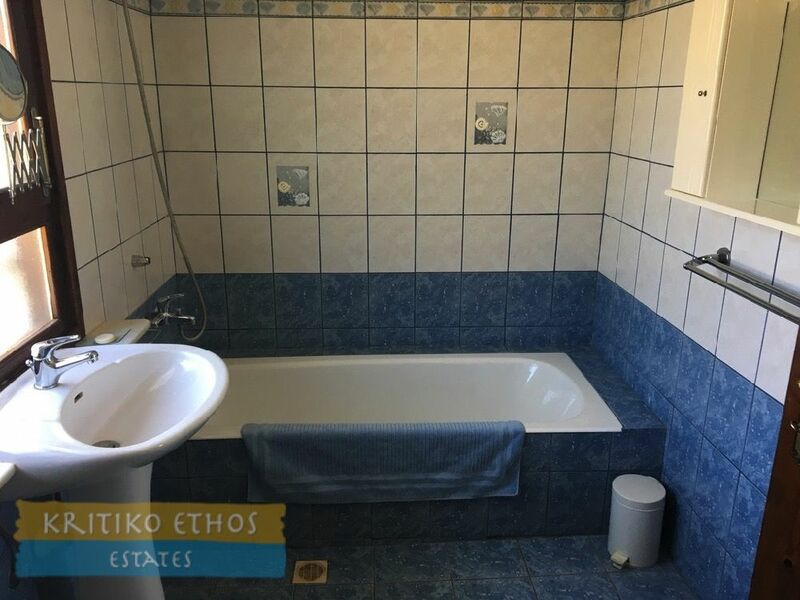 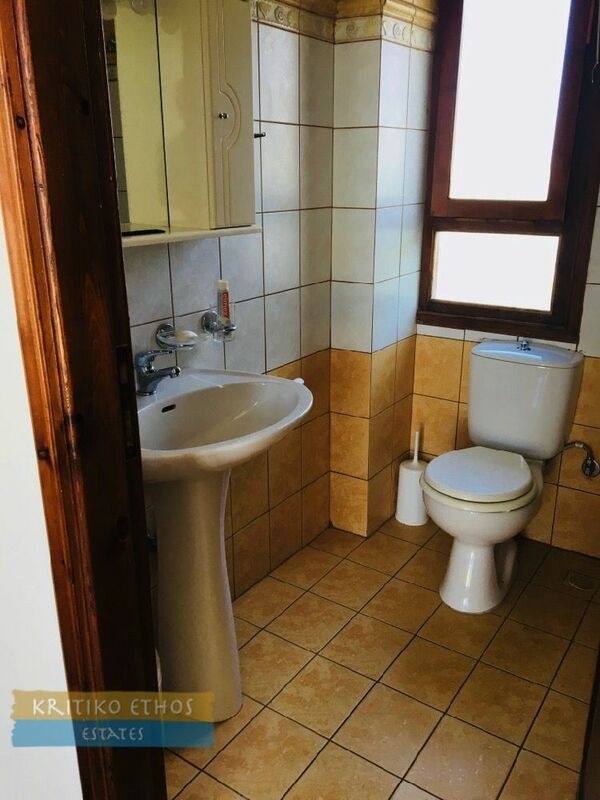 The first floor comprises three very spacious double bedrooms with the master bedroom ensuite with both a full bath plus a fully-tiled shower stall. 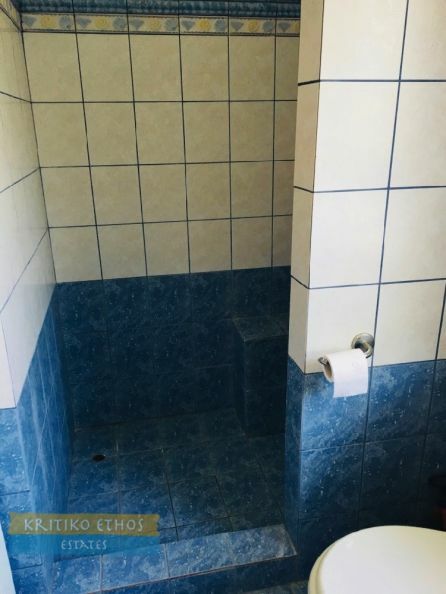 The two other bedrooms share a full bath. 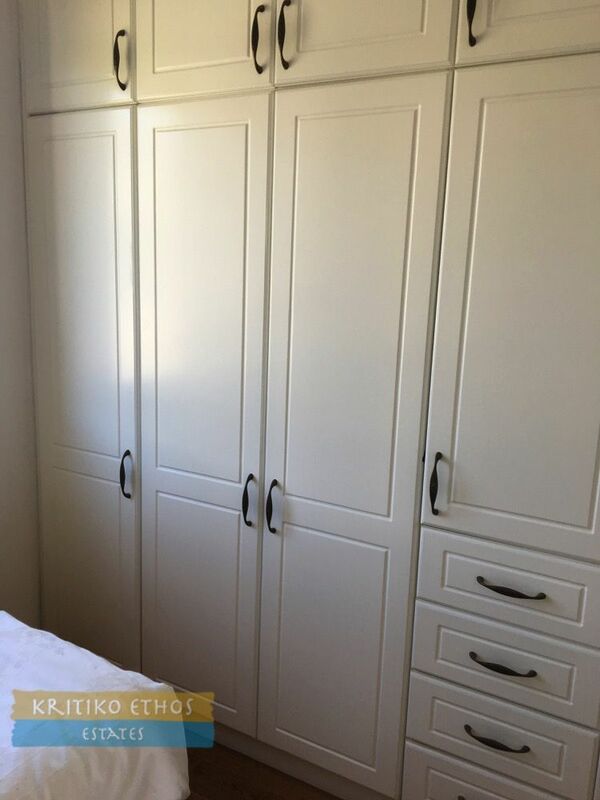 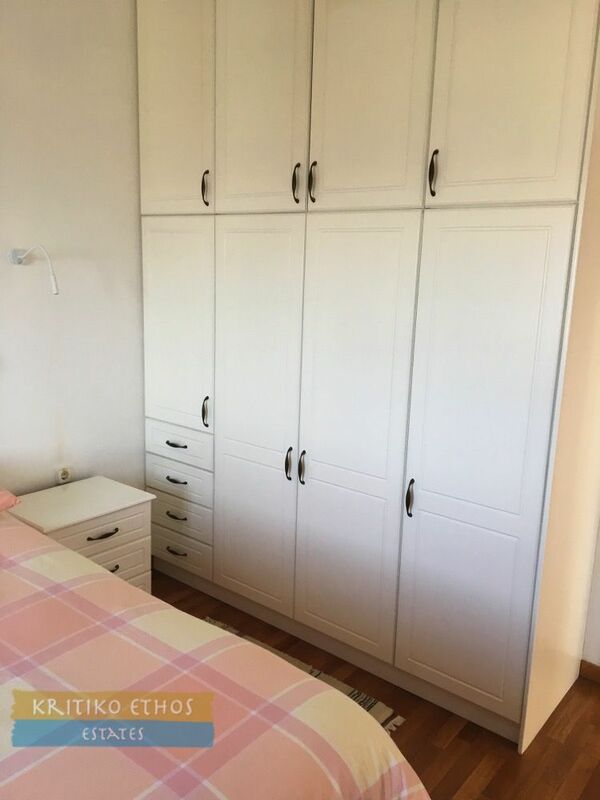 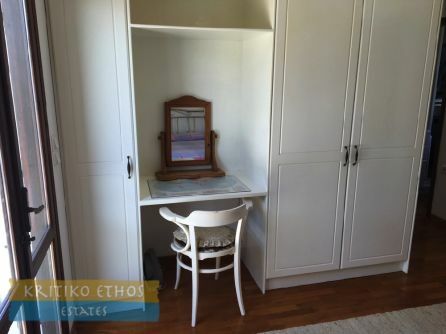 All have large built-in wardrobes. French doors lead from the stairway landing as well as from the master bedroom to a broad veranda overlooking the rear garden and offering spectacular sea and mountain views. The large 53 sqm basement includes an enclosed garage, utility area, boiler room and lots of storage space. 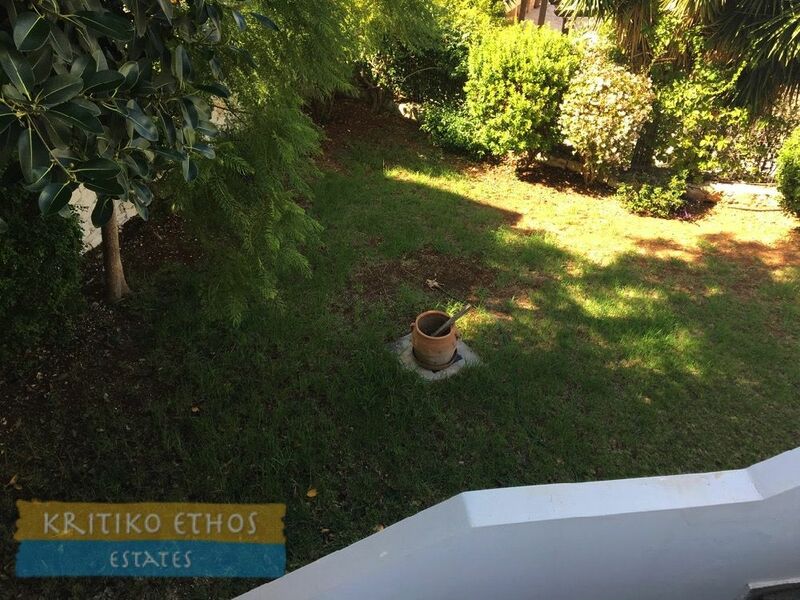 The gardens around the home on its 600 sqm plot have been well-landscaped and there is plenty of space in the rear garden area for a private pool or spa.